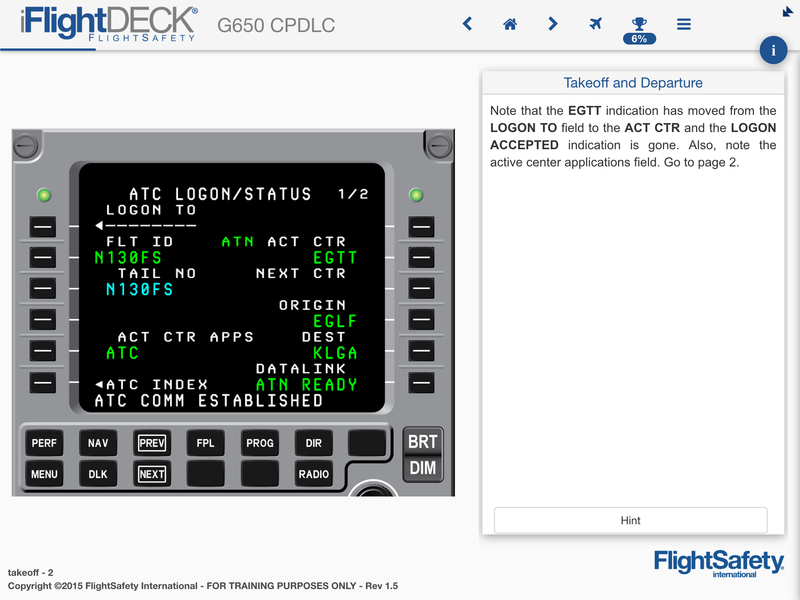 eLearning CPDLC-Gulfstream G650: The eLearning CPDLC-Gulfstream G650 course is a three-hour course accessed on a PC or Mac through the Learning Management System (LMS). Covering aircraft-specific and non-aircraft specific training requirements, this FAA-approved course satisfies AC 90-117 and is compliant with Transport Canada AC 700-041. 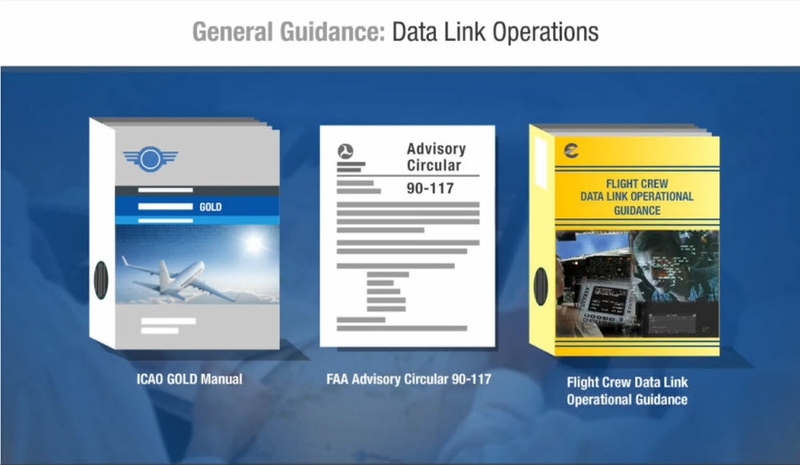 This course uses recommended procedures found in ICAO’s Global Operational Data Link (GOLD) manual and meets the international standards set by the International Civil Aviation Organization (ICAO). After successfully completing the course and passing the examination, you are issued a Certificate of Completion. If you are an existing FlightSafety customer, you can also access and print your record of training on myFlightSafety. 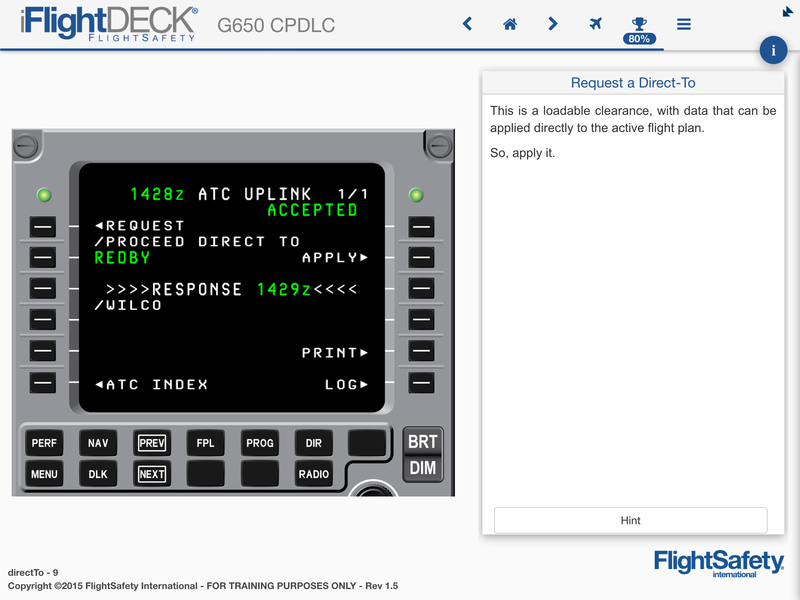 Gulfstream G650 CPDLC iFlightDECK: The Gulfstream G650 CPDLC iFlightDECK is a dynamic reference tool that is accessed on an iPad through FlightSafety’s FlightBag app or FlightBag.com and is available by subscription for one full year. Its interactive representation of the Gulfstream G650 Flight Management System (FMS) presents scenarios that help users to fully understand and correctly perform necessary actions. 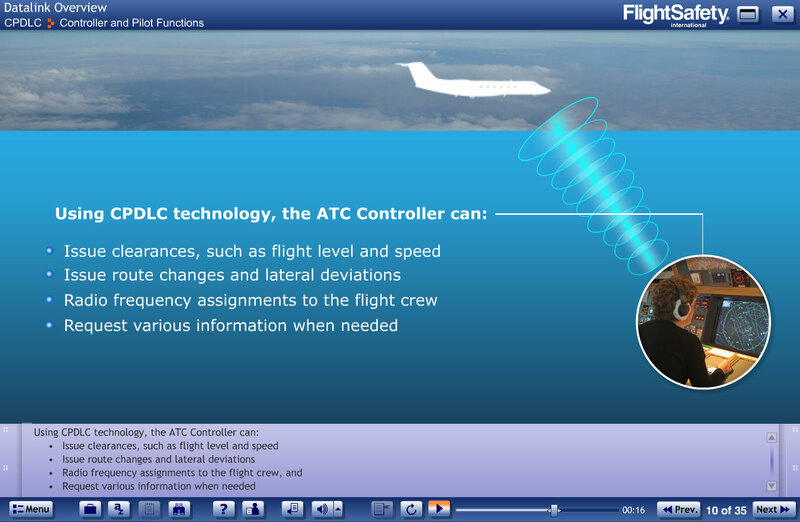 The virtual FMS enables pilots to engage in CPDLC, ADS-C, and DCL operations as they would in the actual aircraft. No Record of Training will be issued. Credit: Once you have completed the eLearning CPDLC-Gulfstream G650 course, you are awarded a FlightSafety International certificate of completion. If you are an existing FlightSafety customer, you can also pick up your record of training in myFlightSafety.